J Dr. Joe G.N. “Skip” Garciaoe G.N. “Skip” Garcia, MD, senior vice president for health sciences at the University of Arizona, has been selected to receive the prestigious 2015 Leadership Award from the Pulmonary Circulation Assembly of the American Thoracic Society (ATS). Founded in 1905, ATS is comprised of more than 15,000 physicians, research scientists, nurses and other allied health-care professionals who collectively are the leading authorities worldwide on respiratory disease, critical illness and sleep disorders. The annual leadership award is given “in appreciation of decades of leadership and devoted service in the pulmonary circulation research community,” according to ATS. The winner is chosen by the awards committee of the ATS Pulmonary Circulation Assembly in consideration of contributions to the understanding of the vascular basis of lung disease and advancing knowledge in pulmonary vascular biology and medicine. A leading authority of the genetic basis of lung disease and the prevention and treatment of inflammatory lung injury, Dr. Garcia will receive the award May 18 at the ATS Circulation Assembly Membership Meeting in Denver. Dr. Garcia previously was recognized in 2003 with the Society’s Scientific Accomplishment Award for his groundbreaking work in endothelial cytoskeleton and lung fluid balance. An elected member of the Institute of Medicine of the National Academies, Dr. Garcia is an internationally noted physician-scientist with more than 400 peer-reviewed publications and 35 book chapters. He has an expansive portfolio of National Institutes of Health-sponsored research and continues to direct large federally funded research programs. Dr. Garcia is a past president of the Central Society for Clinical Research, a past member of the board of directors for the American Thoracic Society and a member or chairman of several NIH advisory council committees and working groups. He is a passionate advocate for the training of physician-scientists and an active supporter of minority medical and science students. 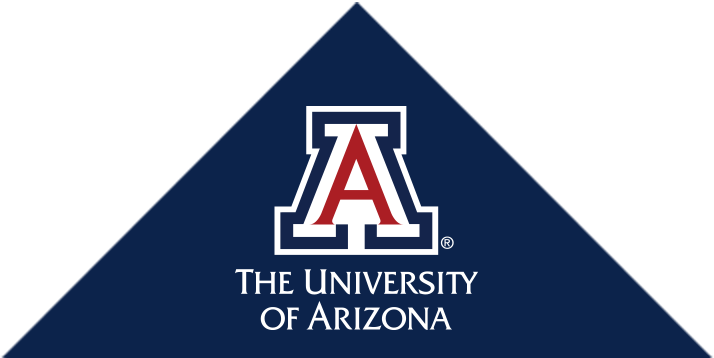 As UA senior vice president for health sciences, Dr. Garcia provides leadership for the five colleges at the Arizona Health Sciences Center (AHSC): the UA College of Medicine – Tucson, UA College of Medicine – Phoenix, UA College of Nursing, UA College of Pharmacy and the UA Mel and Enid Zuckerman College of Public Health. During his tenure, Dr. Garcia has overseen development of a strategic growth plan for the UA’s health sciences enterprise.